I am an Applied Computer Science student at Oregon State University in my Senior year. Primarily, I am focused in Cloud Applications, Web Development, and Security. I am passionate about developing applications for the growing internet connected world. I am currently leading my Capstone team in developing an Internet of Things (IoT) ecosystem to explore the power and computational impact of cryptographic primitives. This project employs the use of a polymorphic structure allowing devices to use WiFi and LoRa technologies to communicate within the same network. I have played a major role in designing the network’s architecture, central server, and Electron application. My primary goal in this project is to inspire others to develop security into similar IoT projects. I am excited to enter the Software Engineering industry and hope to play a role in creating accessible and secure applications. 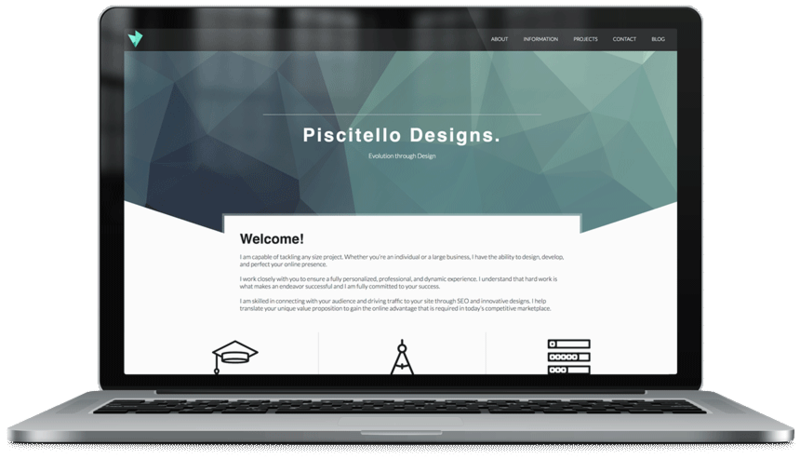 Various graphic, web, and development services. 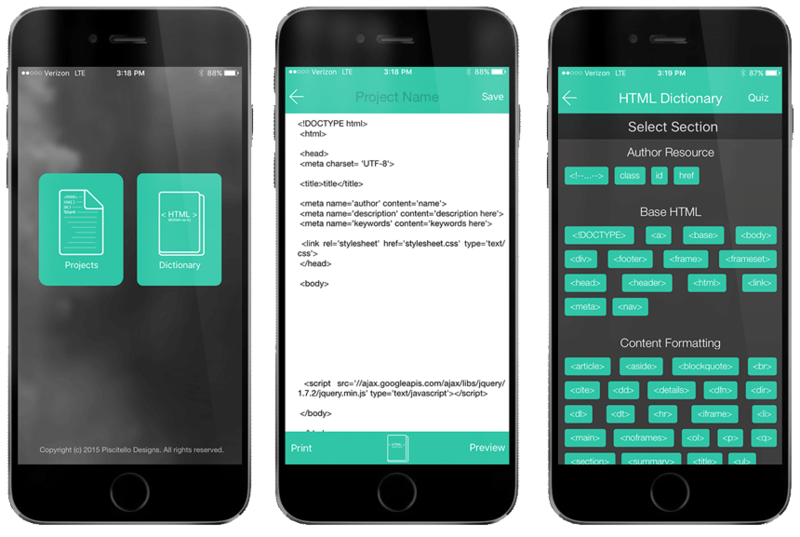 Code Dojo is an iOS app created for beginner web designers and developers. It provides users with an easy to use and sortable HTML dictionary filled with definitions, examples, and images. This was my first introduction to programming and was built on Apple’s Swift language. This CSV to HTML converter was built specifically for Oregon State University’s Research Department. Utilizing an insertion sort method and custom data structure hundreds of CSV rows are converted for easy access to the university’s many principal investigators. My personal website and everything you see now was built and designed by myself. I specifically designed my website around elegantly displaying skills while remaining functional. 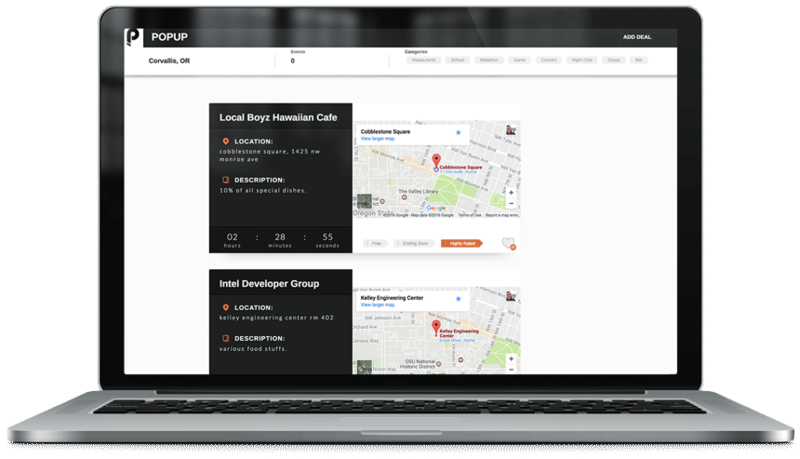 POPUP Events is Node.js web app aimed at providing local information about local events. 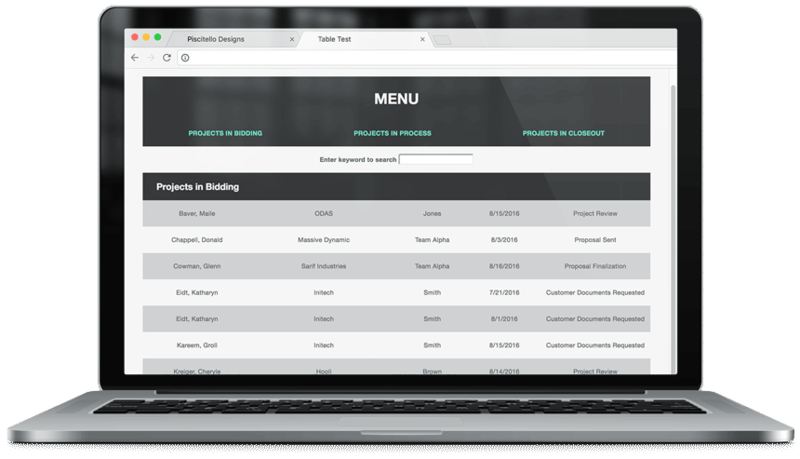 I built this entire app from the ground up including security routes and database interactions.